This post is sponsored by Starbucks Refreshers. All opinions and sleep deprivation are my own ; ). Why yes, we are talking about sleep again! Adalyn is back to sleeping kind of crazy. She is going to bed easier but then wants to wake up for the day between 4:30 and 5 AM. This leaves Troy and me feeling exhausted. Trying to work full-time, run my blog, take care of the home and most important of all- be a good wife and mom is very hard when I am short on sleep. I am not good at taking a nap at all. I lie down and then think of 10 other things that I need to be doing instead. 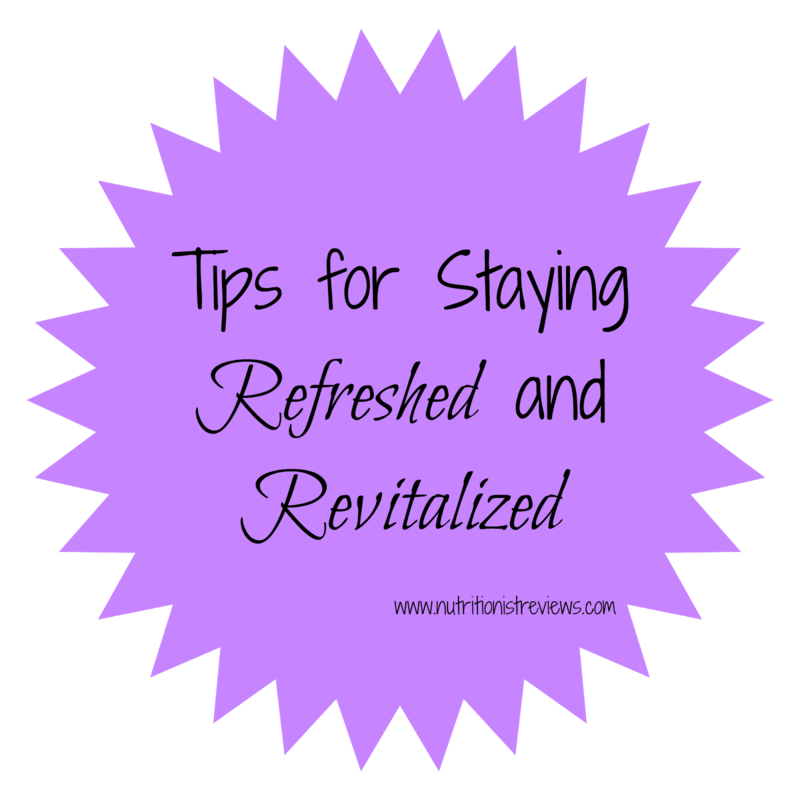 Therefore, I rely on other things to keep me feeling refreshed and revitalized. It is so important for me to feel good. I want to feel great and be energized, not just get by. I want to have the energy to go to the pool, for a walk or to play with my baby after work. 1. Eat great- You knew I was going to say that! As a registered dietitian, I know the importance of eating right and how much of an effect it has on the way that you feel. When I don't eat right, I don't feel well. Start the day with whole grains such as a bowl of oatmeal or whole grain toast with an egg. For lunch, have a huge salad with whichever vegetables you enjoy along with some kind of protein such as chicken, tuna, beans, hummus, hard boiled egg, etc. For dinner, choose a whole grain such as brown rice or quinoa along with a lean protein and your favorite vegetables. Eating well will help you feel your best. Limit fried food, refined grains and added salt. 2. Ditch the sugar- While sugar will give you temporary energy, a large amount of sugar will increase your blood glucose temporarily and then send you crashing shortly after. This will leave you feeling worse than you did before. Instead, focus on snacks that are more filling such as those that combine a carbohydrate and protein. Good options include whole grain crackers with cheese, an apple with peanut butter or carrots and hummus. This will help give you a boost without sending your blood sugar crashing. 3. Exercise first thing in the morning- After a super early morning, the only thing that gets me going some days is exercise first thing. By 6:30 AM, you will find me outside walking with my daughter and dachshund or on the treadmill. When I skip my morning exercise, I feel so much more tired during the day. 4. When you feel tired, do a quick midday workout- During the day, especially if you work at an office type job, you may feel pretty tired from sitting around. Getting up and doing a bit of exercise will help give you a boost of energy to help get you through the rest of your day. Do some jumping jacks, squats, planks, pushups, etc. Just 5 minutes will get your heart rate up and increase your energy. My favorite thing to do at my new job is go on a walk during my break. This helps me feel great for the rest of my day. 5. Drink a revitalizing beverage- I love Starbucks Refreshers for a boost of energy. My favorite flavor is the Strawberry Lemonade but I also recently tried the Raspberry Pomegranate which was good as well. You can find these at your local grocery store. 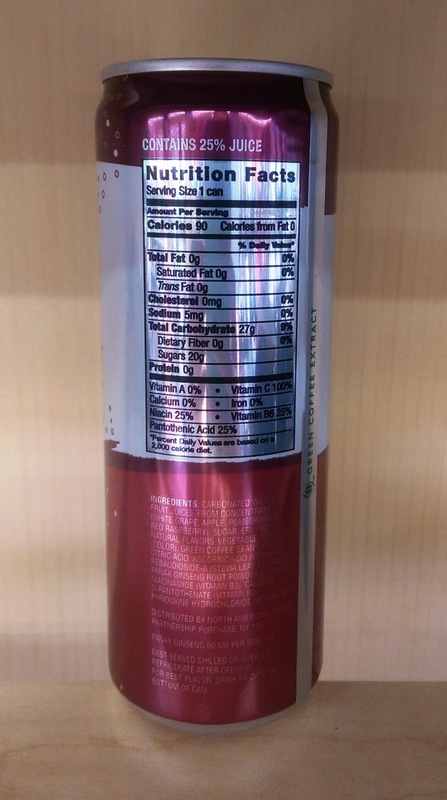 They are made with real fruit juice, have green coffee extract for energy. These have the caffeine from green coffee bean but without the coffee flavor which is great for those who are not a fan of coffee. One beverage has 90 calories and is 25% juice. They are sparkling which I really enjoyed. 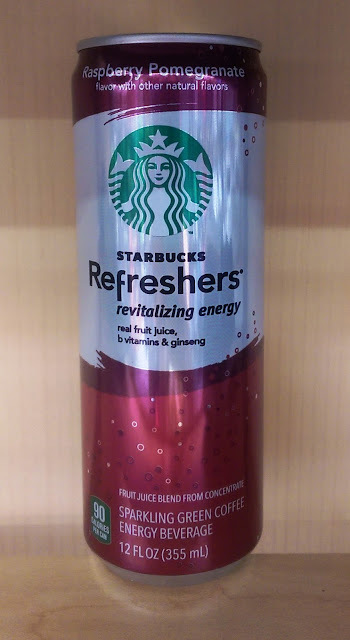 With a revitalizing blend of sparkling fruit juices, b vitamins and ginseng, Starbucks Refreshers™ has all the goodness you need to get the most out of today.